You'll be £14.99 closer to your next £10.00 credit when you purchase It Had to be Tough. What's this? This engaging book traces the formation of the Commandos and the extreme and often unorthodox training methods and techniques used to prepare the volunteers from all branches of the British Army for subsequent world-wide operations. These ground-breaking operations included the 'great raids' on Norway and France, and the full scale invasions of North Africa, Sicily, Italy, Normandy and Burma. The Commandos developed an approach to warfare which was the complete antithesis to the conventional and defensive mindset of the British infantryman of 1940. Trained to fight in complete isolation and to make rapid and aggressive progress with only their small arms and personal determination and initiative to assist them, they evolved into a truly elite fighting force which was capable of causing mayhem and destruction out of all proportion to their size. James Dunning does not dwell upon the numerous raids which made them famous, instead he explores the unorthodox and notoriously gruelling training regime through which every Commando had to pass; a regime which would tolerate nothing less than the keenest, fittest, most self-disciplined and capable soldiers that Britain could produce. 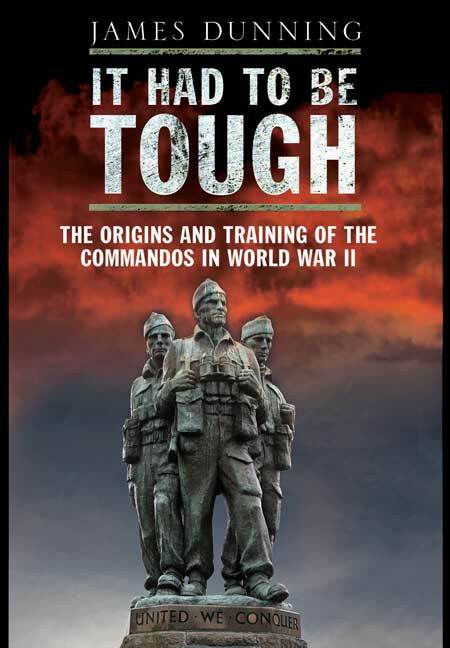 Covering every aspect of this system, from physical training to rehearsals for large-scale amphibious operations, "It Had to be Tough" reveals what it was which shaped each individual Commando and so made possible their legendary achievements. This is a no-frills, unembellished account of the composition and inner workings of the Commandos from their earliest days in 1940 to their disbandment at the end of the war. The book is packed with fascinating insights into the training and activities of the Commandos. This is a good book, and a must for anyone with an interest in this aspect of military history. This book tells the story of the origins of the Commandos, a unit raised on the specific and personal orders of Winston Churchill. The author James Dunning, was himself a member of No 4 Commando during WW2 and took part in a number of it's raids before becoming an instructor. His account concentrates on all aspects of training, and provides a fascinating insight into principles and techniques that still apply today.